Earlier this year my family and I were lucky enough to spend a week in Barcelona ahead of the Stampin' Up! Mediterranean Incentive Trip. I have to say Barcelona was never on my bucket list, but wow, what an amazing City! So vibrant and cultural and colourful. I loved it! 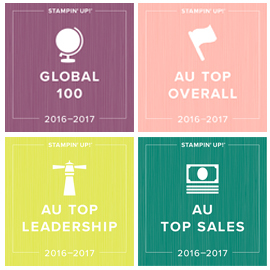 I started Stampin' Up! 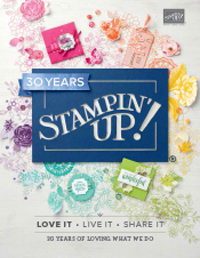 as a Scrapbooker, and memory keeping has been a huge part of my Stampin' Up! journey. I love using stamps in my memory keeping, and the colour coordination Stampin' Up! offers is fabulous for scrapbookers. 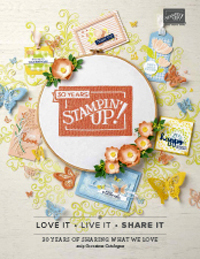 I also love the pocket scrapbooking trend, so was excited when Stampin' Up! 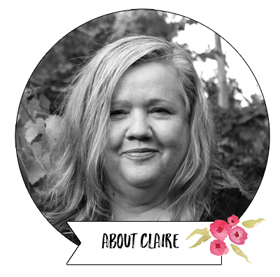 partnered with Becky Higgins to release an official suite of Project Life products. I have used the Hello Lovely Project Life by Stampin' Up! card collection and accessory pack on this album, along with lots of memorabilia from my trip and a few word / quote stickers (you will notice I use these LOTS in memory keeping and I have a big stash!). Here's a look at some pages of my album. For the cover page I just did a 12x12" layout and then clipped some travel documents on the back. The quote top left was from one of the pillow gifts we got on the Stampin' Up! trip. I really loved this quote. The cover page is going to cover both the Barcelona portion as well as the cruise portion of my trip, hence why we have the itinerary on the reverse. Here's some of the pages (I completed 35 pages including the 2 cover pages). I loved all the beautiful plants and flowers in Barcelona. The balconies were beautiful and La Ramblas had so many flower, plant and seed stalls. I ended up with lots of food pictures as food is a huge part of the journey in Spain! Here's some close up peeks at some of the elements on my pages. I hope you have enjoyed this peek inside my Barcelona Project Life album. I'll be starting on some European port photos soon, so stay tuned! Hello stampers, I'm back to Christmas cards today. The faux silk stamping technique (described below) makes a great textured background for Christmas cards. It's super simple to do so you could easily do a few at a time. I have used Holly Berry Happiness stamp set from the 2016 Stampin' Up! Holiday Catalogue, which worked really well for the repetitive effect I wanted. My colours are Cherry Cobbler and Garden Green, with gold in the embossed greeting (also from the Holly Berry Happiness stamp set) and coiled twine under the greeting. Cut a piece of tissue paper a couple of centimeters (or an inch if you are metric) larger than the cardstock you are adhering it to. My tissue paper is adhered to a piece of Whisper White in the image above. Stamp your images over the tissue paper. Allow to dry a couple of minutes. Screw the tissue paper up in a tight ball, and then very carefully unravel the paper. Smooth it out but not completely as you still want a few creases left. Using a glue-stick, apply glue all over the cardstock piece you are going to adhere the tissue paper to. Adhere the tissue paper, leaving a few creases as shown. Wrap the excess tissue paper around to the back of the cardstock and adhere with the glue-stick (this gives a neater finish than trimming). That' all there is to it! Easy isn't it? Here's a closer look at the Holly Berry Happiness stamp set (you can view all of the products I have used today by using my online store product links at the end of the post).